In many cultures, Christmas is considered the best holiday of the year- for religious or spiritual reasons as well as for the traditional aspects associated with it which make it the season for gifts and brotherly love. It is also a time for romance and spending time with loved ones and the people who are closest to you. Many families also love to travel and leave home with their loved ones to enjoy the Christmas spirit in exotic locations, so the choice of the ideal vacation spot where the magic of Christmas is expressed in all its cultural, spiritual and traditional aspects is the first priority. 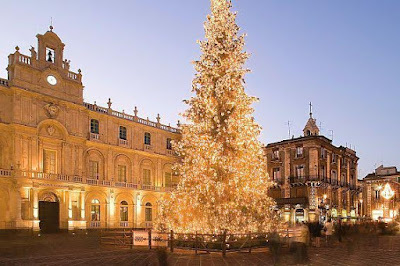 One such particular place to keep in mind that possesses a long cross-cultural tradition of Christmas celebrations is the Italian island of Sicily. Its ancient heritage- infused with over two millennia of cultural interaction with Greek, Roman, Arabic, Germanic and Medieval/Renaissance influences, is expressed beautifully in the Christmas festivals that take place throughout the Island. Families with children may also want to complement their experience with a stay at one of the many beautiful Sicilian villas that are available for rent, and which offer a beautiful panoramic view of the many ancient Greco-Roman ruins, temples and amphitheaters along with Norman/Gothic cathedrals and other architectural wonders. At websites like Wishsicily you can find the best Sicily Villas on promotion, with discounts offering a stay in the preferred vacation resorts of the Agrigento Coast, in medieval towns like Erice, Ragusa, or the various Sicilian islands such as Syracuse or Favignana, among others. The folkloristic elements deriving from the various cross-cultural influences that have shaped the history of Sicily are what make a Christmas vacation in the island particularly unique. One of the major Christmas festivals that lasts until the Epifania (which takes place the first week of January) is represented by the ‘Presepe’- or ‘crib’ in English; a crib set-up which is a representation of various Biblical scenes – primary of which is the birth of Jesus in the manger (and some showing some Old Testament prophets) followed by pastoral scenes with shepherds, houses, trees, and animal figures such as sheep, donkeys and bulls. 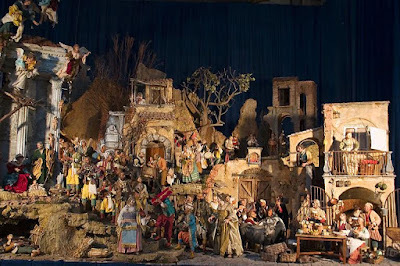 To attest to its cross-cultural significance, the tradition of the Presepio also finds parallels in Africa following the spread of Christianity. The Presepi are the most important and sacred attraction throughout Sicily. 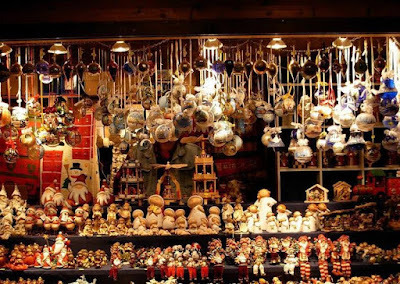 Splendidly decorated Crib figurines or wooden statues of various sizes (some even life-size) are used depending on the scale of the model, and in some cases various materials are used that range from wood to gold, silver, coral, and in past times also ivory. They are set-up on the streets or parried in carriages throughout the towns where people of all ages gather to celebrate and view the artistic creations that are uniquely hand-crafted by expert craftsmen. 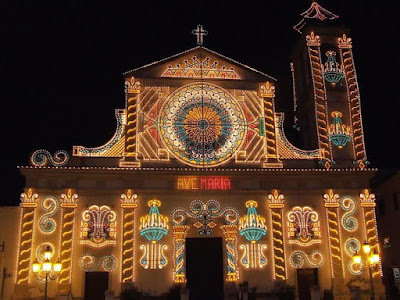 Catania, Trapani, Caltagirone, Ragusa and the surrounding region are especially renowned for their wonderful Presepi festivals, which are accompanied by Novene, or bands of musicians performing traditional Christmas songs and chants. In Messina you can admire a living Procession of Shepherds, while in Custonaci, Motta S. Anastasia and Giarratana are famous for their ‘Living Presepio’ of real human figures. You can check at this website, when and where these Presepe Festivals are taking place. The ‘Epifania’ (Epiphany) is the second most important celebration in Sicily after Christmas, commemorating the memory of the Tree Magi and their bestowment of gifts to baby Jesus in the manger. For families with children and kids of all ages it is a fun event because it also involves the iconic figure of the witch – one of the pagan interpretations of the festival- and during the celebrations people dressed as witches with broomsticks go around the towns distributing sweets, candies and chocolates. Along with the Procession of the Three Magi, the Festa dell’ Epifania is considered with high regard in the region of Palermo (the Palermitano) and is a major event for towns like Gratteri, Contessa Entellina, Piana Degli Albanesi and Mezzojuso, including the areas around the province of Caltanissetta.